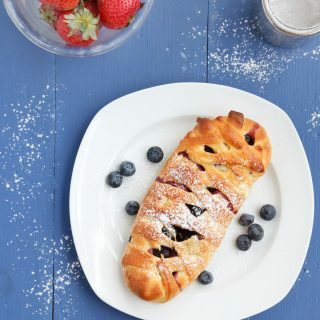 Sweet fresh peaches and plump juicy blueberries are the perfect fillings for this little crostata. 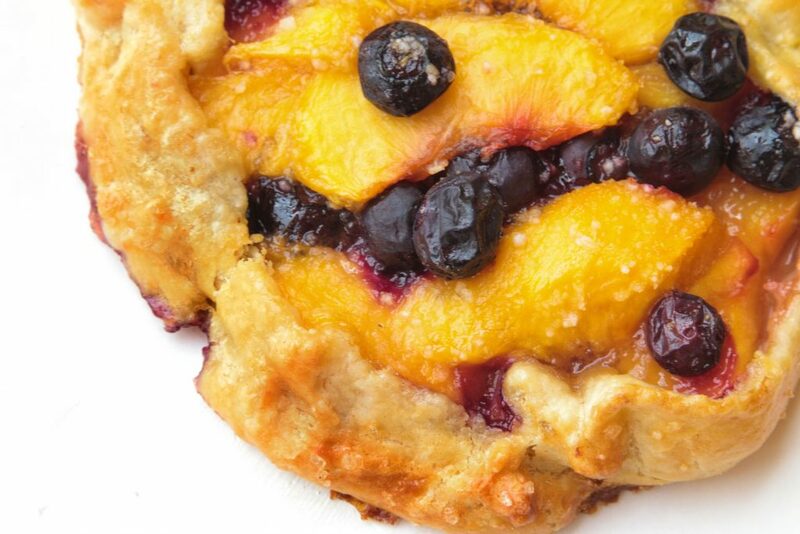 Made with a sweet pastry dough my blueberry peach crostata is a delicious treat any time of the day. 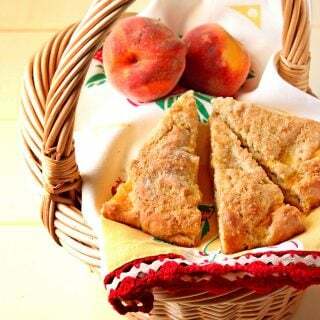 I love fresh pastries and a warm from the oven blueberry peach crostata always puts a smile on my face. I’m not an exceptional baker, but it’s something that I love to do (sometimes I think mostly because I love to eat), there’s something calming about baking. 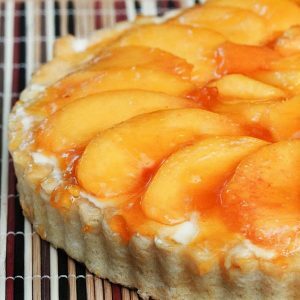 Baking demands your full attention, and if you don’t give it, the results can be less than pleasing. But at the same time, baking soothes the soul, it’s never really like work to me, and I think that’s why I enjoy it so much. It feels more like recess, and I get to go outside and play. Life is suddenly so much better, even more so when the oven timer goes off…..
I’ve had a few of those days lately, so Sunday morning I got down the flour, chilled the butter, peeled the peaches and made some delicious little crostata’s…..sigh, and guess what…….life was suddenly so much better. Peaches are still in season and couldn’t be better, so juicy and so sweet, I think I ate half of everything I peeled while making these sweet little pies. 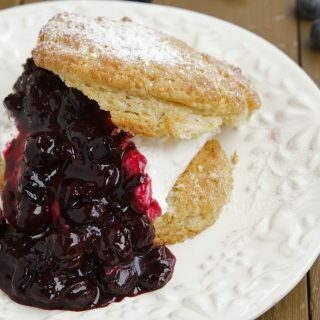 And what goes better with peaches than fresh plump blueberries, bursting with flavor…..sigh All I needed was some homemade whipped cream to make this the perfect dessert or in my case breakfast! 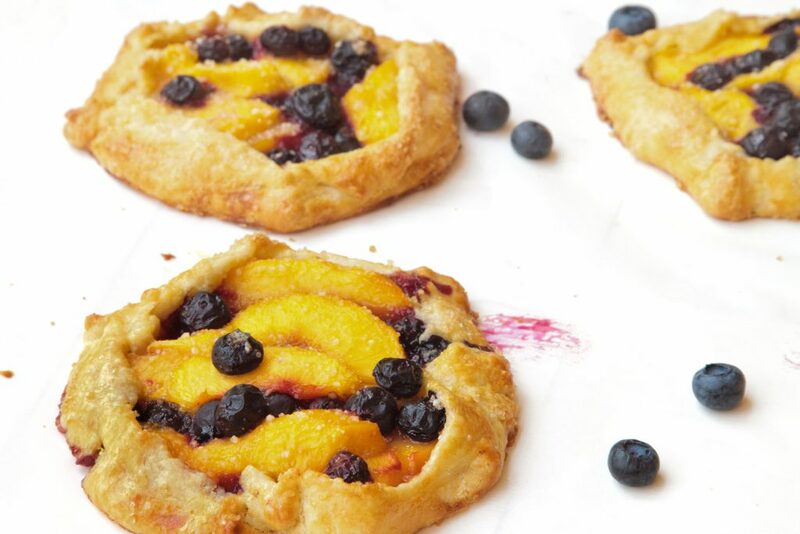 My morning paper, a cup of good coffee and a warm blueberry peach crostata…..life doesn’t get much better than that (well at least at my age). If you’re looking for another delicious treat to make for your family try my Strawberry Ricotta Crostata. 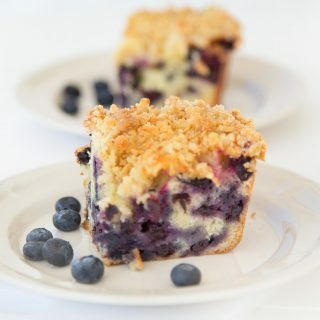 If you’ve tried my blueberry peach crostata ecipe or any other recipe on askchefdennis.com please don’t forget to rate the recipe and let me know where you found it in the comments below, I love hearing from you! You can also FOLLOW ME on Instagram @chefdenniseats and @chefdennistravels, Twitter and Facebook. Divide the dough into 6 pieces and roll out each piece into a 6 inch disc. Refrigerate discs for 10 minutes. If the dough has gotten too warm and seems to be very soft, return to the refrigerator for 20 minutes to allow it to set up. Then bake as directed. Chef, baking does the same for me with regard to soul soothing. 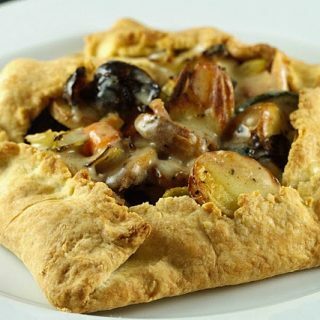 These scrumptious-looking crostatas had to be as pleasing to the palate as they are to the eye. Lovely work, Dennis. Peace to you & yours from NorCal! Thanks Brooks! I hope all is well on the left coast, we need to catch up live one of these days. You got it, Dennis—my thoughts exactly. BTW, your site renovation looks great! Looks delicious! 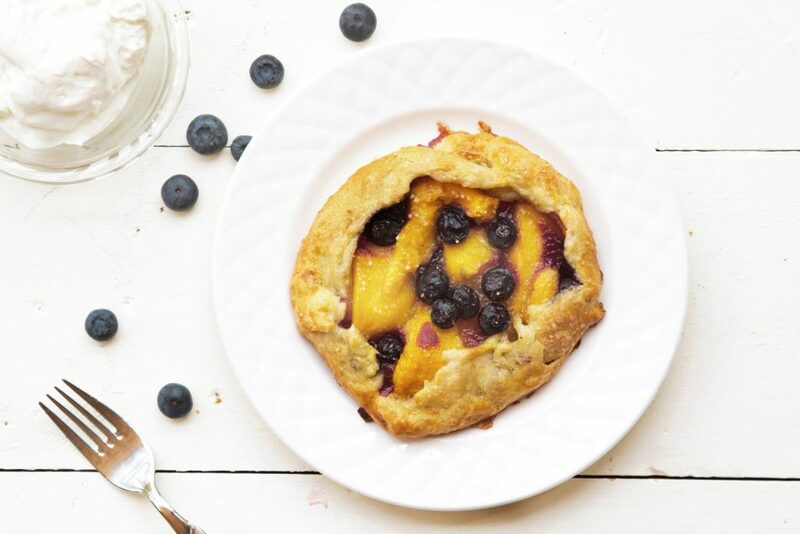 The perfect combination of peaches and blueberries…two of my favorites! How incredibly good that crostata looks!!! Blueberry and peach…winter is knocking on the door, and this is just the thing the mind craves…. When I’m down or stressed I turn to baking, something about it which I’m yet to figure out, calms me down, and this mostly take place at night! I know the feeling of not having enough time! I am not much of a baker either, but these look so pretty! Yum! I love these types of pastries! They look delicious…I can eat two of them 🙂 with scoops of vanilla ice cream..mmmmm I am beginning to like the idea of making them myself ! Thanks Chef for the recipe. Have a great weekend. Days fly by so fast, and not even half the things get done. That crostata looks yummmmm…. Very nice! Ahhh… time, or the lack of it. Hectic lives. It’s so nice that something small with fresh seasonal fruit can make you smile. What a nice thing to do on a Sunday morning. They make me want to make some, or take a bite out of your picture! time management is 100% my achilles heel. i can have a job, be in school, have no job, no school, etc and i still feel like i have a million things to do and no time to do them. what is the deal? gorgeous crostata! peach and blueberry is such a striking combination.